Droid Incredible Set for Verizon Closeout? Already? There have been rumors for months now that the Droid Eris would be on the way out, but in the document above, it’s the device listed right below that which caught us off guard. 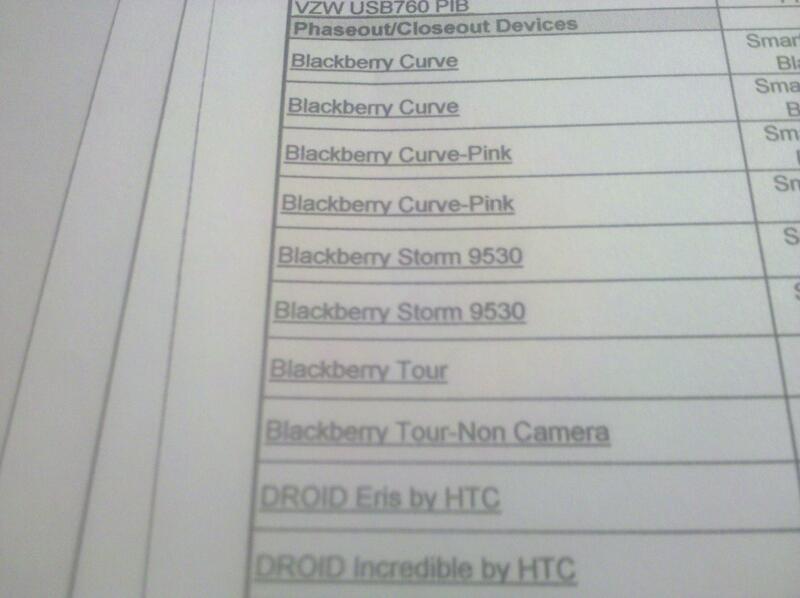 The Droid Incredible on a closeout list? Seeing a device that hasn’t even been out for a full 2 months on a closeout list is a little alarming, don’t you think? Verizon still struggling to keep up with demand? Have they given up on the DI already? What does this mean for future updates? Most would argue that the Incredible is one of the top 2 or 3 Android devices available. The specs definitely say so. Down with Samsung screens!